In pre-history, human populations colonised land along rivers, presumably to exploit aquatic riches. From 19% to 50% of adults have at some time gone fishing in the three most northern European countries; overall about 5% of the EU population goes fishing. A recent study showed that European countries with the highest conservation status for all species were those with most anglers and hunters, in combination with much wetland and high GDP; perhaps this was partly because local environment decisions were most influenced by non-government organisations in the countries with most angling. Studies also show that anglers create ecological benefits and through habitat management. Anglers also benefit economics by spending €19 billion annually in Europe on their passion. 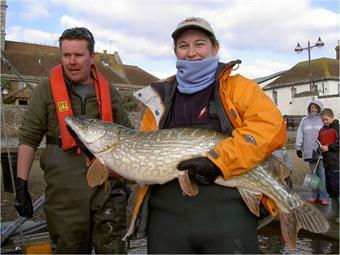 Anglers have much knowledge of nature’s riches in water. It benefits everyone if they share this knowledge with other interests for restoring rivers, lakes and seas that have been damaged by industry, water extraction and careless land-use. In order to promote such cooperation, organisations in Naturalliance helped parts of the United Nations and the Council of Europe (which represents all European states) to draft a Charter on Recreational Fishing and Biodiversity. BEST PRACTICE. An initiative by the government of the Netherlands is our first example of how to get the best from angling for conserving and restoring the riches of nature. PRODUCTION. To help anglers have their interests appreciated, Naturalliance seeks to guide fishery management for angling in ways that will benefit aquatic systems and human society as a whole. PROBLEM-SOLVING. Use of water for human consumption, irrigation, energy production and recreation can all compete with angling, so finding optimal solutions for all is one of our main aims. MAPPING. Software to understand fish movements was pioneered within Naturalliance; we foresee improvements to show how habitats can best provide breeding, shelter and feeding for fish. • Regain healthy fish stocks in lakes, rivers and the sea.